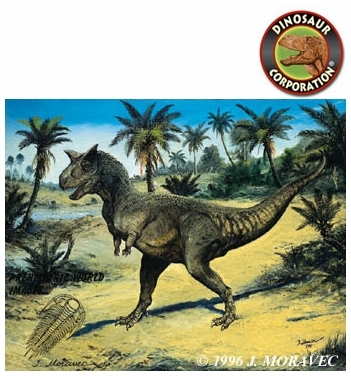 Home | DINOSAUR PAINTINGS | Carnotaurus sastrei | Carnotaurus sastrei, The Cretaceous, 11"x14"
Carnotaurus - The Cretaceous period. Printed on premium glossy photo paper. Art Print 11" x 14". Original art by Josef Moravec.